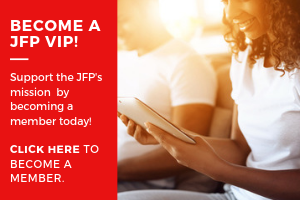 Welcome to the new JFP website! After months of development and trials, we went live with this new website late Thursday. Cheers to developer Matt Heindl (also the JFP distribution manager) for all his hard work. In addition, Kristin Brenemen and her design team worked really hard to get the look right, and Latasha Willis and Dustin Cardon knocked themselves out to get the JFP events and restaurant listings on the site. If you see any problems on the site, please let us know (matt@jacksonfreepress.com). We are still working out bugs and turning on new features. By the end of this week, all old JFP stories and comments from the last 10 years should be moved to this site, so if you can't find something in our archive, be patient; it's coming! Meantime, play with our new Search box (top of page to the right); it's so much better than before! Also, note that a new JFP mobile app replaces the old JFP app, which is no longer updating! An important thing to know: You will have to re-register to post on this new site. If you have trouble getting your old user name, let's know, and we'll work it out for you. Note that you can also post photos and video now to your comments. The general public can now blog as well, even though new posts will go through moderation (and must comply with the User Agreement) before they're opened. http://www.jacksonfreepress.com/weblogs/post/">Click here to get started! And be sure to set your profile page up with your photo and other info! Have fun on this site, and try out the new tools. Cheers, all. You can see the mobile version of the site at http://jfp.ms/">http://jfp.ms/ or at http://www.jacksonfreepress.com/">http://www.jacksonfreepress.com/ -- both will automatically format for a smartphone, and include Restaurants, Music Listings, events, headlines and more. You can even log-in and comment on stories via the mobile interface, which is new. Once we get the tweaks done on the Web version we'll be further tweaking the mobile version. Feel free to email with any requests for info you need while you're out-and-about.